If you would like to have a journey to Germany and your passport is not from following countries, you should apply for Schengen visa in embassy or consulate to obtain 3 months visa. Albania, Andorra, Antigua & Barbuda, Argentina, Australia, Austria, Bahamas, Barbados, Belgium, Bosnia and Herzegovina, Brazil, Brunei, Bulgaria, Canada, Chile, Costa Rica, Croatia, Cyprus, Czech Republic, Denmark, El Salvador, Estonia, Finland, France, Germany, Greece, Guatemala, Honduras, Hong Kong, Hungary, Iceland, Ireland, Israel, Italy, Japan, Latvia, Liechtenstein, Lithuania, Luxembourg, Macao, Macedonia, Malaysia, Malta, Mauritius, Mexico, Monaco, Montenegro, Natherlands, New Zealand, Nicaragua, Norway, Panama, Paraguay, Poland, Portugal, Romania, San Marino, Serbia, Seychelles, Singapore, Slovakia, Slovenia, South Korea, Spain, St Kitts and Nevis, Sweden, Switzerland, Taiwan, UK, USA, Uruguay, Vatican City and Venezuela. For further information please contact us. Germany job seeker visa is a work permit for a long term to stay and look for a job in Germany. Germany is planning to attract highly qualified immigrants who are able to meet the needs of the country, in a lack of qualified staff. Work visa is valid for 6 months. If the applicant will be able to find a job, get a work permit in Germany. For further information, please contact us. Like the “green card” in the US, the EU Blue Card offers highly qualified third-country workers the opportunity and the right to work and stay in the European Union. He or she has a German or foreign university degree accredited or comparable German. Has a contract with an annual total remuneration of at least € 49,600 (€ 4.134 per month), the contract is the so-called sector “rare” (scientists, mathematicians, engineers, doctors and IT specialists) with the sum of € 38,688 (€ 3,244 per month). For further information, please contact us. This visa is for people that are studying full-time in Germany. International students from countries of the European Union and Australia, Japan, Canada, Isrelii, New Zealand, the United States, Switzerland, Honduras, Monaco and San Marino do not need a visa to study in Germany. However, if your country is not included in the above, you should apply for this visa. This visa is valid for 3 months that applicant should apply with some documents like admission letter, financial support. Visa for training is valid for one year that student must provide proof of admission and financial support for the study period for this visa. For further information, please contact us. You van get a business visa if you have plan a trip to Germany. The citizens of many countries do not need a visa if they intend to stay for 90 days. Your nationality determines whether you need a visa or not. For further information, please contact us. 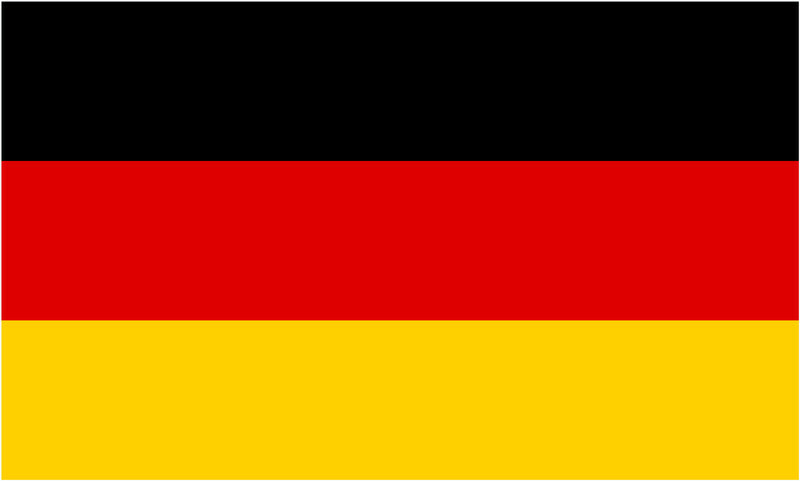 German law does not stipulate the amount that an investor must pay to Germany must obtain a residence permit. Since January 1, 2009 to July 31, 2012, German law permits the granting of a residence permit to a foreign entrepreneur who has invested at least € 250,000 (approximately 325,000 US dollars) in German company to create five new jobs. For further information, please contact us. Afghanistan, Bangladesh, Eritrea, Ghana, India, Iran, Iraq, Jordan, Lebanon, Mali, Nigeria, Pakistan, Somalia, South Sudan, Sri Lanka, Sudan, Syria, Turkey. If you want to come to Germany as a guest scientist, you may need a visa. As soon as you arrive at a German university, you can apply for a visa at the German Embassy. Scientific Visa package allows researchers to obtain permission to enter, stay and work for the purpose of scientific research in the member states of the European Union. The aim is to facilitate the process of obtaining a residence permit for researchers wanting to conduct short-term research (up to 3 months) or long-term (3 months) in the EU. For further information, please contact us. This visa is for those who want to study in Germany or learn to do so. In order to be able to apply, you must provide all necessary documents to the embassy of your country in Germany. After the first application personally completed, all necessary visas can also be presented by an agency or a travel agency (including documents). To ensure the receipt of a completed visa, send the visa at least three weeks before the scheduled departure. For further information, please contact us. This visa is suitable for people who need medical treatment or need medical advice. please do not hesitate to contact us. This visa is applicable in case you are travelling to Germany for visiting Trade Fairs. This visa is given for travel period of less than 90 days. For further information,please do not hesitate to contact us. Germany is a country in Western Europe with a landscape of forests, rivers, mountain ranges and beaches of the North Sea. It has more than 2 thousand years of history. Berlin, the capital, is home to scenes of art and nightlife, the Brandenburg Gate and many sites related to World War II. Munich is known for its Oktoberfest and breweries, including the Hofbrauhaus of the sixteenth century. Frankfurt, with its skyscrapers, is the European Central Bank.